Speaker Bio: Nitin Gaur, Director of IBM Blockchain Labs is renowned for his ability to analyse opportunities, anticipate trends, and create technologies that align with operational needs, catapult profitability, and dramatically improve the end-customer experience. 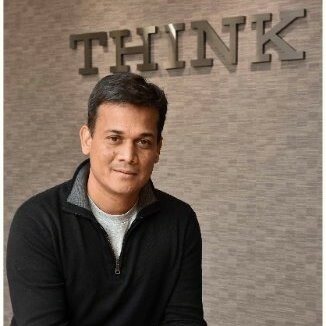 Since taking this role in 2015, Nitin has designed “blockchain for enterprise” solutions for large customers in regulated industries by working with various entities such as IBM research, large financial services industry clients, regulators and startup community addressing the fragmented blockchain landscape with existing application and transaction infrastructure. Nitin holds MS in Management Information systems and MBA in Finance from University of Maryland. Nitin is also appointed as an IBM Distinguished Engineer. Topic Abstract: Viewed as both an opportunity and a threat, blockchain is driving the re-invention of many of the world’s most fundamental business interactions. The ability to make the simple construct of a distributed ledger real has also opened the door to completely new ideas on how we exchange value, as well as understanding the ownership of an asset in the digital age. As a founding member of the open-source Linux Foundation Hyperledger project, and a driver of global blockchain collaboration and innovation, IBM is working to reimagine business networks across industries such as finance, healthcare, insurance, supply chains and IoT. Are you curious about Blockchain and what it can do for your business? Join the IBM senior leadership team as they share ideas on blockchain, advancing the idea of a powerful open source approach, and helping the industry advance towards a mature technology to support serious business. You will have the opportunity for Q&A and to see live demonstrations of blockchain technology in action.